This post is pretty photo heavy, so I've broken it into two parts. First up, the products, and then, the looks wore this week. 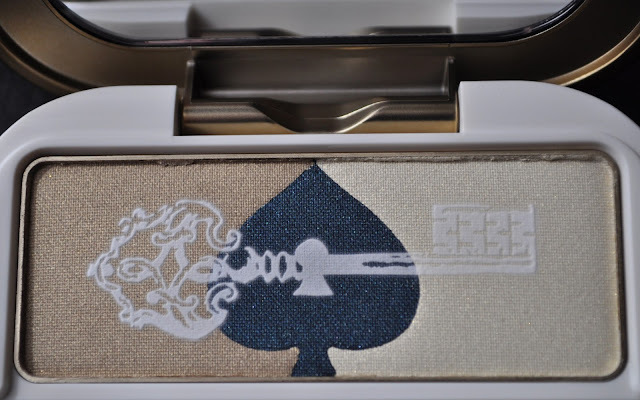 Eye Color Palette 101 (¥4,200/$54.40). Eye Color Palette 102 (¥4,200/$54.40). 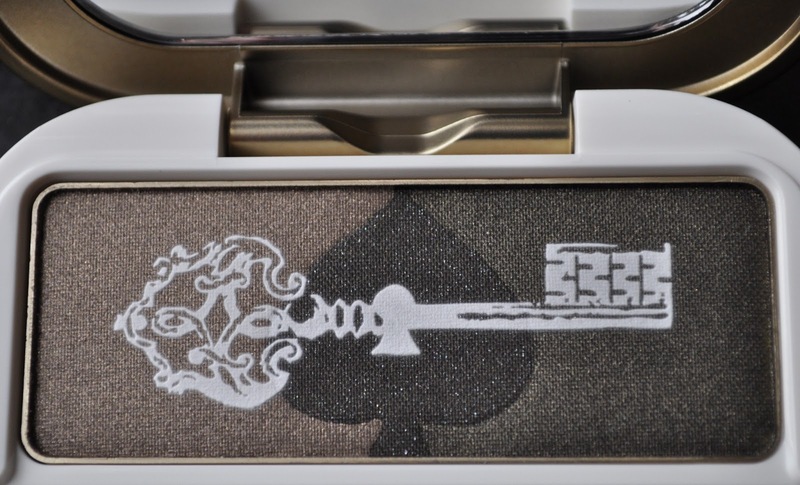 Both eye shadow palettes are to die for! The colors aren't terribly unique, but lovely just the same. Cheek Color Mini Collection 02 & 03 (¥5,775/$62.44). I passed on the Cheek Color Mini Collection in 01, but had to have 02 and 03. 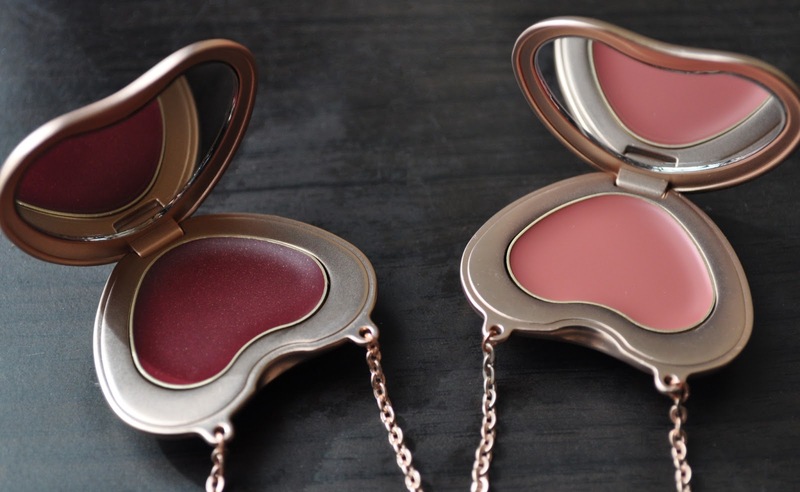 Both cream blushes have beautiful golden shimmers that really makes them sparkle. At a glace, you can't see the golden shimmers, but it's in there! 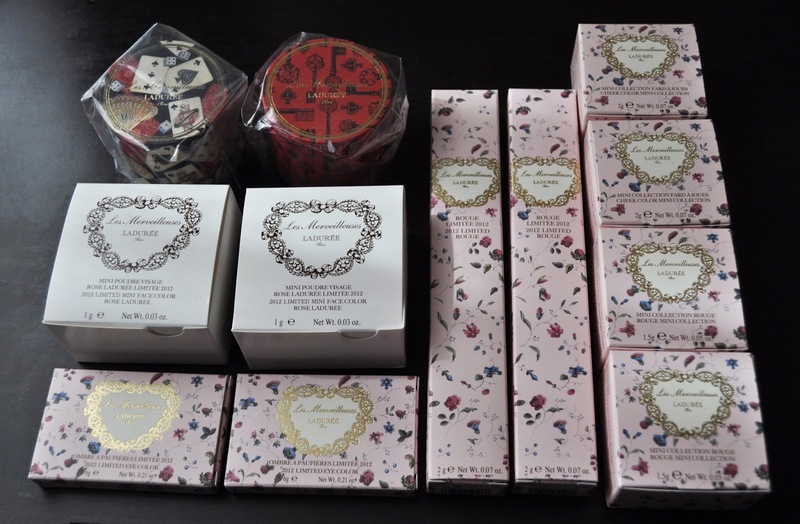 Mini Face Color Rose Laduree 101 & 102 (¥3,360/$36.33). 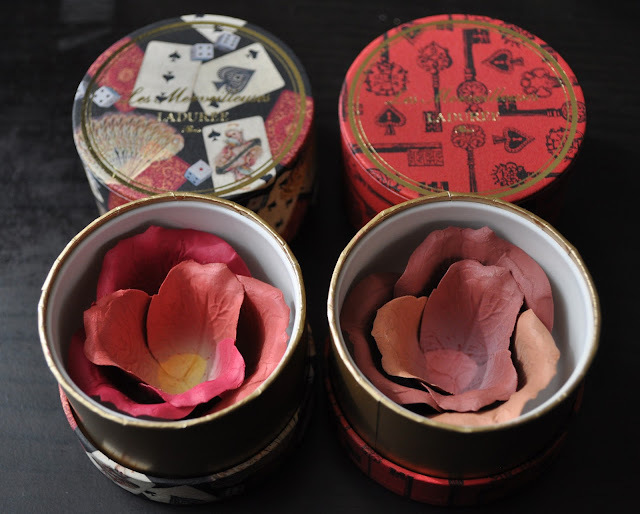 From left to right: Cheek Color Mini Collection 03, 02, Mini Face Color Rose Laduree 102, 101. Rouge Mini Collection 01 & 02 (¥5,775/$62.44). The Rouge Minis give the lips a pretty stain effect, but can be built up. I didn't take photos of the Limited Edition Rouges because the packaging is the same as the permanent collection. From left to right: Rouge Mini Collection 01, 02, Rouge 101, 102. My gift with purchase. The candle does look a bit juvenile, but it smells yummy!! Such beautiful pictures! That candle is adorable. When I see people on the street with Laduree shopping bag, my heart skips a beat. Then I am instantly disappointed that it's pastries and not the beautiful looking makeup! These are almost too cute to use! Great photos, as always. Beautiful pics and swatches as usual :) hope Aki's mom is doing ok! Thank you Mimi, how have you been? Aki's mom under went her second surgery, and she's doing better. Eep I want the mini rose blushes! 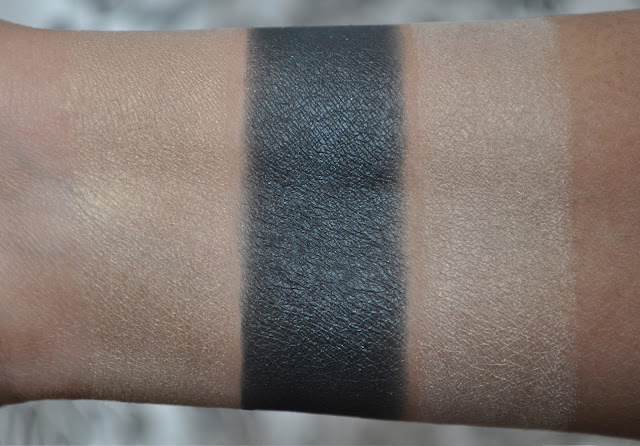 Lovely swatches as always! GORGEOUS! 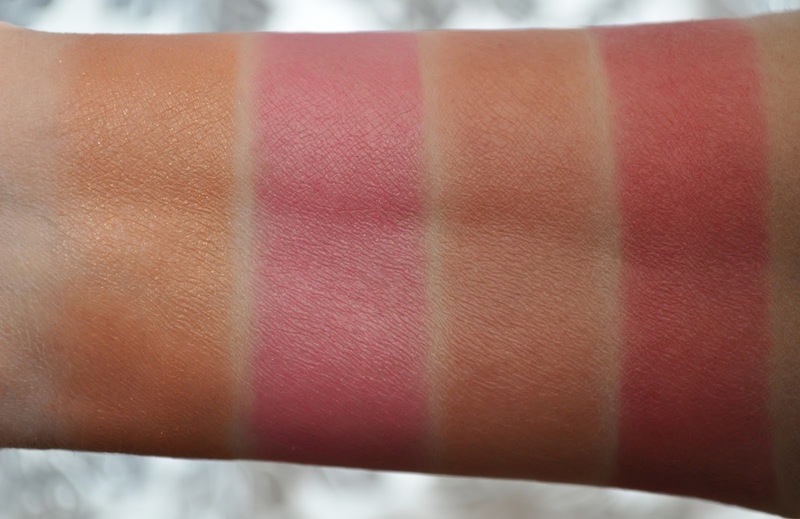 I can see why you picked up these items - they have wonderful pigmentation and are so adorably put together. Oh my gosh, my wallet hurts just looking at that! 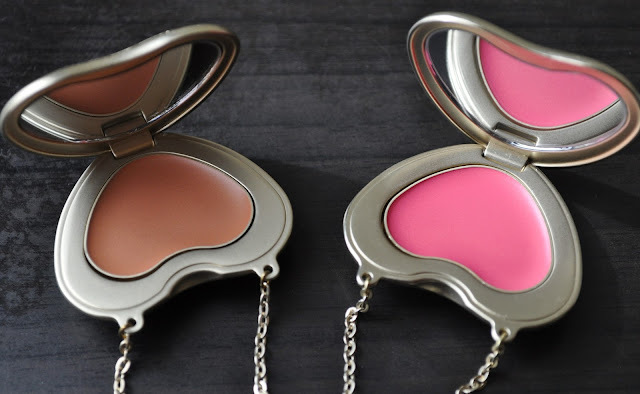 My fav are the rose petal blushers, but I could never bring myself to use them! 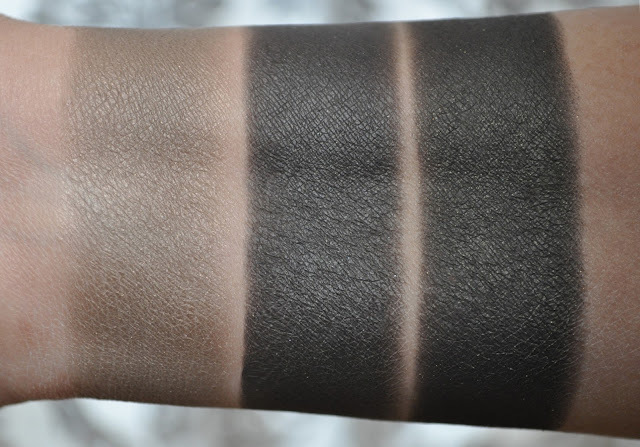 the eyeshadow 101 looks quite pigmented.... should I know it has the potential for such dark colors that is great for smoking your eyes/tightlining I would have gotten it.... but like you said this is the holiday 2012 collection, I am stepping my own feet!!!! grrrh!!! Where did you buy these in Tokyo? I couldn't find the store in Tokyo when I was there in November. I ended up a store that only sold the ice cream and macaroons! I purchased them from the Laduree counter in Mitsukoshi Ginza, but the Isetan in Shinjuku just opened a counter. Now we can double our fun! Hahaha, no worries, we can talk about food :) I just purchased some Laduree Macaroons yesterday, and got the limited edition Marie Antoinette Macaroon. It's so stunning (and tasty) in all it's blue gorgeousness!